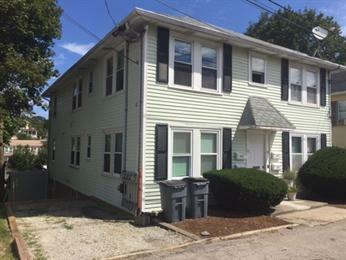 SOLD - 19 Town Hill st. Quincy, MA - 4 Family - Quincy Real Estate, South Shore Real Estate, SALES & LEASING! Highly desirable 4 family in Quincy - priced to sell. This property features Four, 1 bedroom units with eat in kitchen and nice living rooms. Hardwood floors throughout make these units very desirable for tenants and leave a lot of potential for increased rents! The property is less than 1 mile to the Quincy Adams T station, and is on the bus route. The highway is minutes away making this location perfect for commuters and professionals heading into Boston. Separate heat and hot water paid for by the tenant keeps owner expenses low and the garage is rented out as well! SO much potential to increase prices and make money in the up and coming Quincy market!